Travelling the world can really take its toll on a frequent jetsetter, with endless queues and layovers in airports. Fortunately, you’ll find comfort and luxury at the heart of some the world’s busiest airport terminals. Here are three of our favorite luxurious airports from around the world. 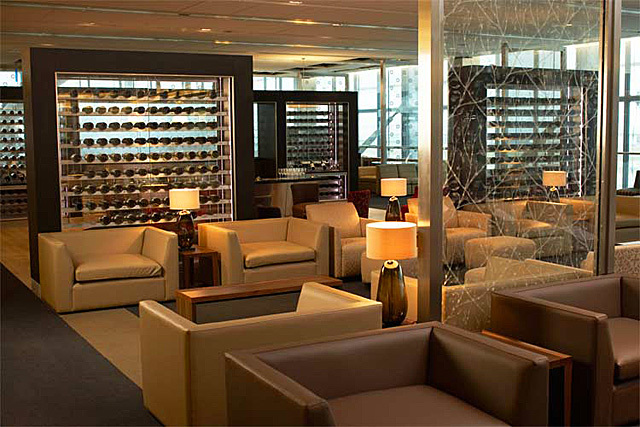 The lounges at London’s Heathrow Airport have consistently ranked among the finest in the world. The British Airways Lounge in Terminal 5 stands out for its soothingly understated style, as seen in the interiors of its world-class facilities like the Concorde Bar, the Elemis Spa, and its 20-seater cinema. Heathrow is expected to become even smarter with the opening of the newly-rebuilt Terminal 2 in June. We’re looking forward to checking out the modern terminal’s spacious courtyard and floating canopy but, as commented by a Parking4less review of the airport, there’s a lot more than just that to look forward to, adding yet more lustre to Heathrow’s image as a world-class transportation hub. It may be one of the world’s busiest airport hubs (with 50 million tourist arrivals every year), but the Hong Kong International Airport is also a haven for worry-free travel thanks to its top-of-the-line facilities. 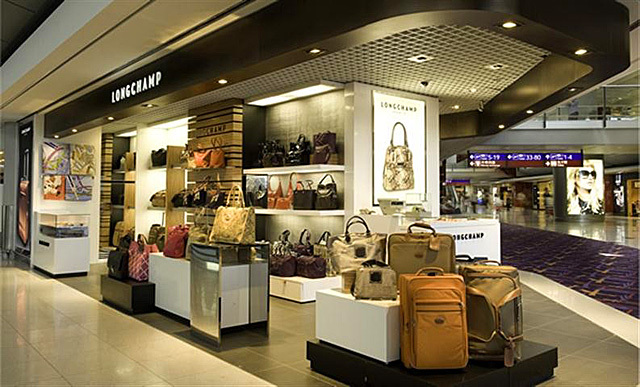 The HKIA has one of the biggest airport shopping complexes on the planet, which can serve as a stress reliever especially for those who are fond of window shopping. The airport’s SkyCity Nine Eagles Golf Course and the airport’s sport simulators are the perfect place for the athletic travellers out there. Numerous airliners have their own lounges at New York’s JFK, but the Virgin Atlantic Clubhouse at Terminal 4 is regarded as the airport’s best. To quote a CNN review, the Clubhouse features an “Austin Powers-meets-uptown mod” cocktail lounge, with glitzy gold ceilings and distinctive red ball sofa. The Clubhouse also stands out for its stand-alone spa that houses the iconic New York hairstylist Bumble & Bumble and skincare expert Dr. Hauschka. With a 5-star experience at the Virgin Atlantic Clubhouse, being welcomed in one of the most glamorous cities in the world couldn’t get any more luxurious. Do you have a favourite airport or airport lounge? One of my favourite topics!!! every good holiday starts in a lounge – feels like holiday when you don’t have to buy a drink and we’re in a nice (relatively) quiet space! Concorde room – amazing!! Been there a few times having carefully collected air miles and it is leagues ahead of anything else. It is discreet and exclusive and it is such a treat to turn right after security and pass through those bland white doors!!! Have to agree with you there, your holiday starts at the airport when you can enjoy the comfort of a quality lounge and if you are flying for business, rather than pleasure, it certainly helps you arrive at your destination feeling refreshed rather than jetlagged. That does sound wonderful and I hope I can experience it for myself one day soon! Wow, those are stunning, I’d love to see all of them…now gotta see how I can get a freebie pass….enjoyed reading and viewing these wonderful hubs! I’ve been in a couple of airline airport lounges, but nothing like any of these! The Zurich Airport is pretty amazing. It’s like a high-end boutique mall that just happens to let planes land. But our most amazing lounge experience was at Istanbul. You know it when get there! I’m quite intrigued by Istanbul now! I hope to make it there soon.